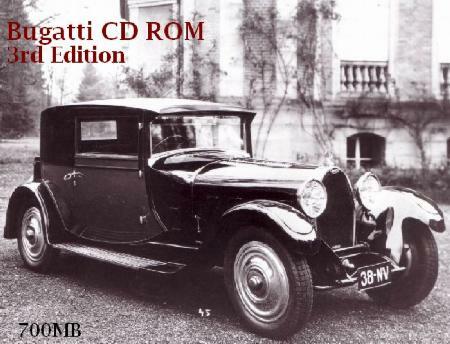 Bugatti Revue + Page CD rom. The third edition of the Bugatti CD ROM is now ready! (over 700MB). Those who have seen the edition 2 CD Rom, know that there are a load of photographs on the CD, which are not on the site! For edition 3, I included over 3000 additional pictures of Bugattis. These are not the same as in the 2nd edition. If you are interested, the price is still the same at $35 or 25 Euro. Add $7 for packing and postage (outside Europe), or 3 Euro P&P for Europe. This is payable cash by mail or by PayPal, my PayPal name is J.J.Horst@BugattiPage.com. But, PayPal Payers Pay more ($44 or 29 Euro) because of costs involved. When sending by mail, please send to the address below.